We’re constantly being told how dynamic and rich content can dramatically increase the engagement levels of users on our websites. For universities and colleges hoping to attract as many high quality students to their institution each year – rich content is particularly important. One way that universities and colleges can forge a powerful connection with students is through video blogging (vlogging to those in the know). According to Cisco, by the year 2017 video will account for 69% of all consumer internet traffic. Video is the future of content marketing- in terms of reach alone nothing comes close. For instance, YouTube receives more than one billon unique visitors each month. 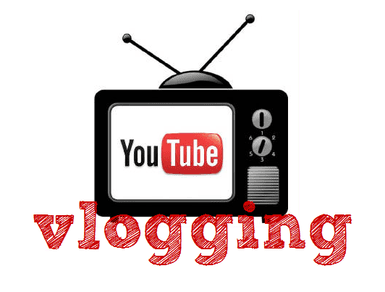 Video blogging gives you the opportunity to create content that is easily digestible and informative. There is simply no other way to condense as much information into such a quick user experience. According to ComScore, website visitors are 64% more likely to purchase a product after watching a video. Also visitors who view a video stay on a site on average of 2 minutes longer than those don’t view video content. Impressive, right? There is a wealth of content styles universities and colleges can choose to represent through video in order to promote their institution to potential students including campus tours, student interviews and big budget promotional videos. However, vlogging provides an informal and easily digestible format that’s low on cost and high on results! Vlogging lends an authentic tone to the story you’re selling and there are so many ways that colleges can use vlogs to target, reach and engage with students. Get students to film brief vlogs discussing the ups and downs of their college experience- what aspects do they love and equally what do they dislike about it. Don’t try and make them too polished and remember honesty is the best policy! This just works so well! Invite users to ask questions on twitter and do a series of short vlogs responding to the questions. Trying to convince prospective students to choose your university? Show them what they can expect. A video showing them what they can really expect from students who really go there can go a long way in convincing them to choose you. Give students carte blanche to film whatever they like- whether it’s how they decorated their dorm room, what’s their favourite meal on campus, what they do for fun to what they hate the most. Try it you won’t be sorry! Has your university or college tried vlogging yet? Send us your vlogs and we will happily feature them.